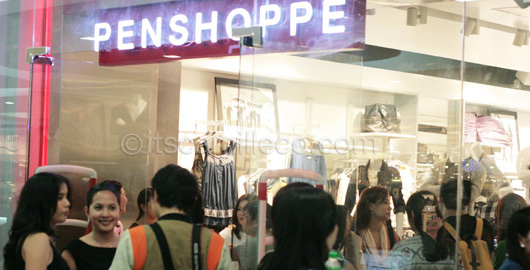 Yesterday, Penshoppe relaunched their first ever boutique in the country at SM North Edsa. Would you believe it’s actually Penshoppe’s first time to be launching their new store look in a major mall in the Metro? Bloggers and the media mingling while enjoying the yummy food from Yellow Cab and Bon Chon Chicken. Why hello there Ed Westwick a.k.a. 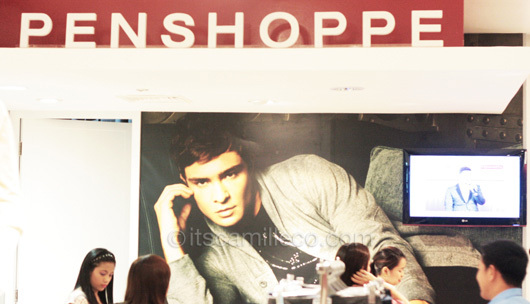 Chuck Bass, Penshoppe’s latest endorser. Bongga! 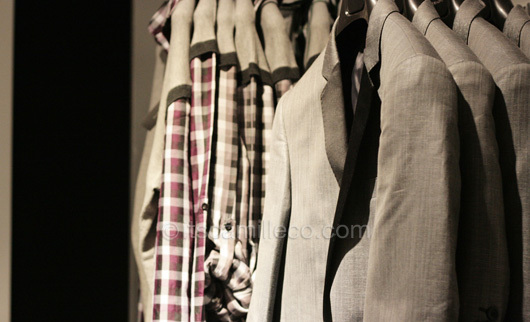 Menswear: Well-tailored blazers with cropped sleeves to add a modern twist and knitted vests over plaid buttondowns. Just some of Penshoppe’s new highlighted collection for women. 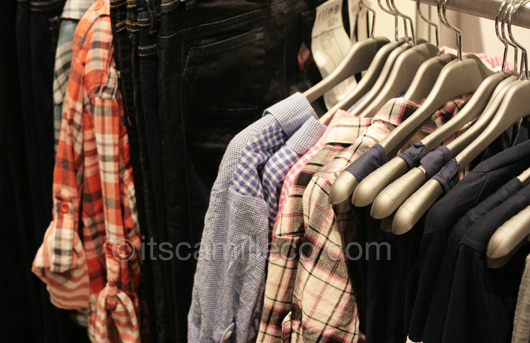 They have everything, from plain to florals to checks! 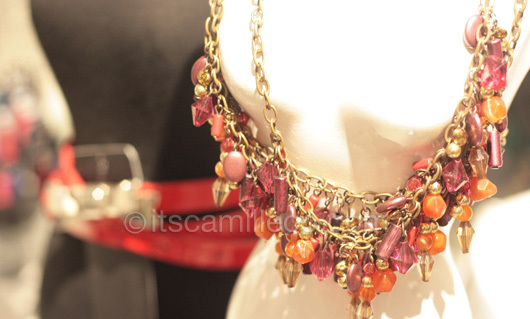 Penshoppe have also expanded their accessories line. With co-bloggers Laureen and David. 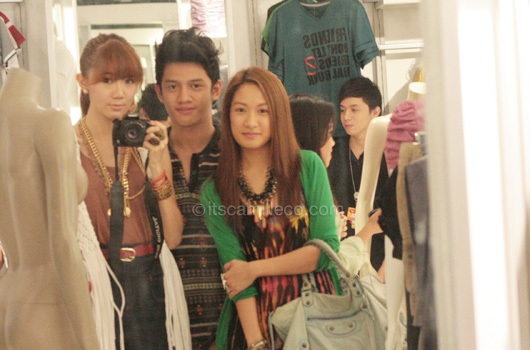 I had so much fun shopping at Penshoppe’s newly opened store. I always used to think Penshoppe was just all denim, apparently not. I was pleasantly surprised how much the brand has expanded as seen in my photos above. 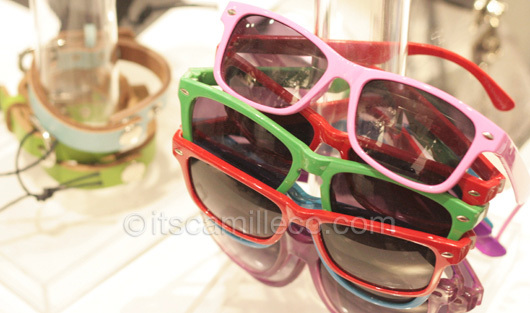 Another thing I had fun doing was the styling contest among all the bloggers, held before the event ended. 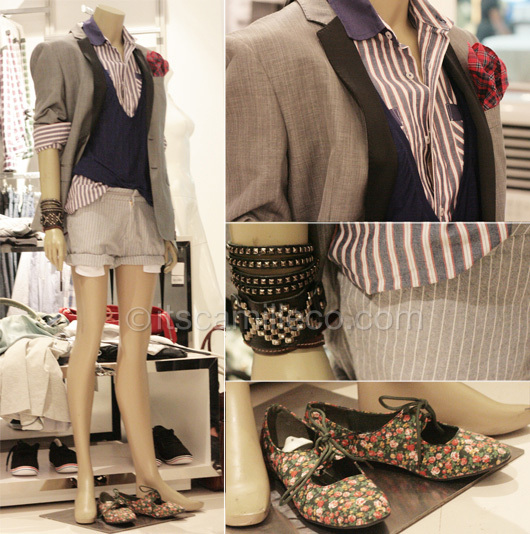 I, together with Laureen and Lissa, styled the mannequin below. The title of our look is “masculine feminine”. All the items we used are from the men’s section except for the blue sweater. 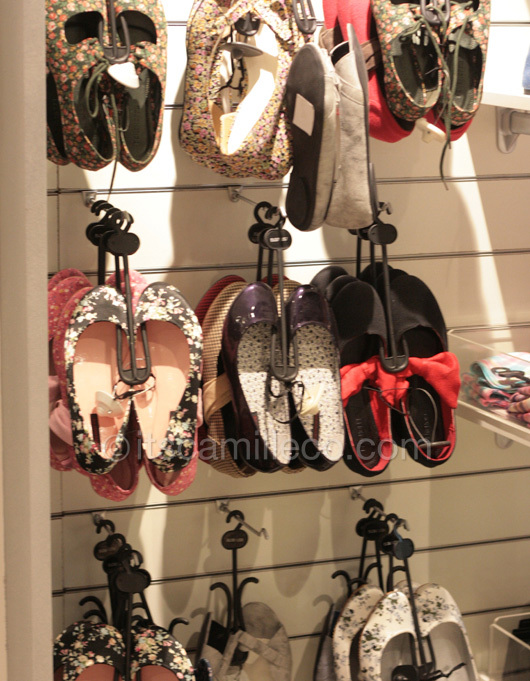 Basically, we wanted to show how women can also work menswear, in a much more casual and effortless way. 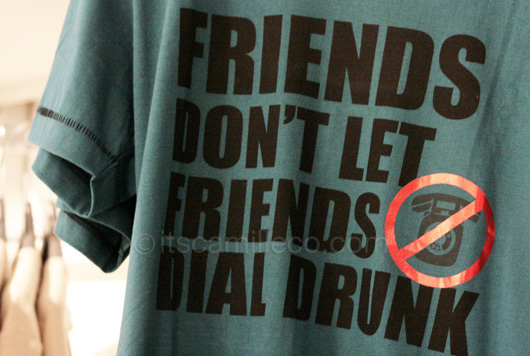 So here enters the blog giveaway. Help us win the contest by liking our photo here. The contest ends this Friday at noon, so hurry and like away! 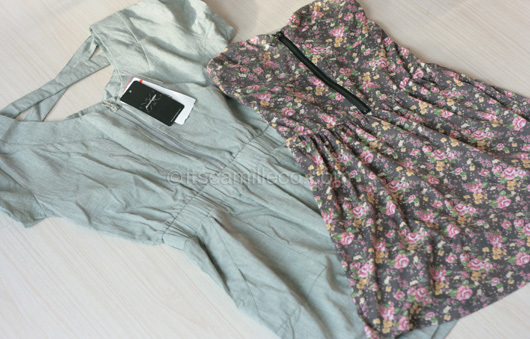 To show my appreciation, I’ll be giving away 2 Penshoppe dresses (as seen in the photo below) to 1 lucky winner. It’s the usual drill: after liking our photo, make sure you’re already following me on Twitter and Google Friend Connect and leave a comment below with your Twitter name and GFC username to notify me that you’ve already liked our photo. I’ll be choosing a winner randomly through random.org.